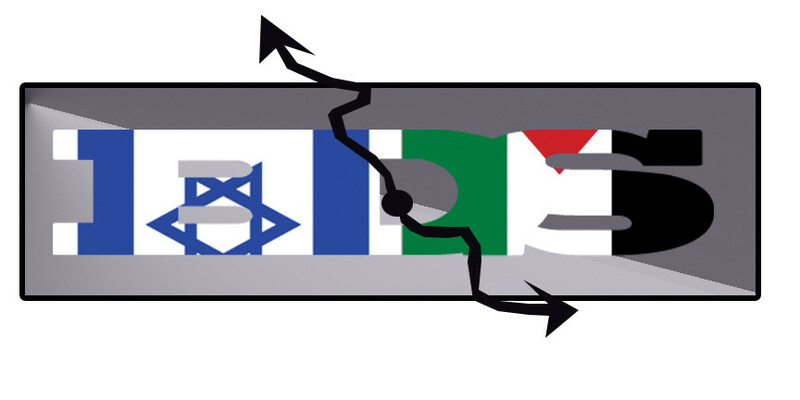 Concordia’s BDS Week: The Right Approach? Editor’s note: Through academic and personal experience, the author has changed their views on many of the opinions below, and this article is no longer representative of their personal positions. Last week, Concordia students were greeted with posters advertising BDS Week: a series of events promoting the Boycott, Divestment and Sanctions of Israel. The referendum passed with 1,276 of 2,500 votes, and the CSU added BDS to its official Positions Book. Though its bylaws and regulations allow it, the CSU should not be taking hard political stances on non-university issues, but should instead work to promote healthy dialogue on the subject among students. The following is a list of problems and potential solutions relating to the CSU’s approach to BDS week. 1. Problem: Political positions take time and energy away from important student issues. Taking positions on issues that do not directly affect students—such as BDS—takes resources away from the CSU’s purpose: representing students. As a student union, the CSU’s job is to protect students’ rights and to improve the quality of their academic life. Instead of taking positions on issues on the other side of the world, the CSU should be focusing on its members. Solution: Only take hard positions on university relevant issues. The CSU should only take hard positions on issues that apply to the student body, such as anti-austerity and students’ rights. 2. Problem: The current system causes mob rule. Deciding CSU policies based on a simple majority could result in representing a small percentage of Concordia students, which directly violates the values of the remaining students. In the case of the BDS referendum, 51.04 per cent of students voted yes. In a strict yes-or-no situation such as this, the CSU is directly opposing the wishes of 42.68 per cent of students who voted in opposition. Further, when the vote was cast, the CSU had over 36,000 members, meaning that only 3.5 per cent of students voted yes to the referendum. Solution: Require a supermajority to add items to the Official Positions book. If it is impossible to differentiate between university and non-university issues, a supermajority requirement should be added to prevent mob rule. While it is still not a perfect system, it ensures that the CSU is representing more of its students when it comes to policy issues. 3. Problem: The campaigning period nurtures a hasty, incomplete discussion. Since CSU bylaws require that campaigning for a referendum can last only 10 days, there isn’t enough time to engage in a healthy discussion before the CSU takes an official position. Solution: Allow extended campaign time for referendums on potential positions. The CSU should extend the campaign period beyond 10 days in the Standing Regulations to allow comprehensive discussion before polling. It should also create a standard debate process for referendums (like the ones which already exists for elections) to ensure fairness and comprehension. 4. Problem: Referendums at CSU have a “yes” bias. According to available CSU election reports, there have been 33 referendums since 2011, and only four have not passed. High profile referendums around the world fear a “yes” bias, as indicated by an article from the Guardian on the United Kingdom’s referendum, proposing that they leave the European Union. The UK is changing the language of the referendum to ensure that people cannot use the word yes to run a positive campaign. Solution: Ensure neutrality in the wording of referendums. While the CSU already has mechanisms in place to ensure neutrality, they should take steps to identify and prevent the cause of their positive bias in relation to referendums in the future, possibly by moving away from yes-and-no-style questions. As aforementioned, the UK is already taking these steps, replacing “yes” and “no” with “remain” and “leave” on their referendum ballots to separate from the EU. 5. Problem: Creating an event-based on a position rather than an issue kills dialogue. While I would strongly support an “Israel Palestine Week” with a variety of speakers contributing positions on the issue, calling it BDS Week promotes bias and discourages students with different opinions from attending. Solution: Host issue-centered events, inviting others to provide positions. The CSU should not create events that only support a single position. It should, however, host issue-centered events and invite other groups to support positions. Concordia has dozens of clubs and associations that the CSU could invite to provide positions on an issue while maintaining the CSU’s neutrality. 6. Problem: Since the CSU has no peer organization at Concordia, there is no room for legitimate opposition or academic discussion. The CSU is the highest-level student organization at Concordia. It is the Concordia Student Union, and by taking a partisan position on an issue, it prevents opposing positions from being expressed with equal legitimacy. As the single most powerful student organization at Concordia, the CSU has a responsibility to foster discussion through impartiality, which is impossible under the current positions policy. Associated with this is another problem—reducing a complex issue to a single opinion is counter-productive. A bunch of people talking about how great an idea is does not improve anything. Opposing viewpoints can serve to improve ideas through criticism, while simultaneously forcing supporters to analyze their opinions. Everyone at Concordia is an academic, and academics should find truth through open debate, not the dogmatic repetition of a single position. Solution: Revise the CSU bylaws and standing regulations to ensure neutrality. Currently, according to section 2.1.a of the CSU bylaws, the first goal of the CSU is “to form a representative Student Union to promote the educational, political, social, recreational and cultural interests of its members.” This article, along with many others, should be changed to make it clear that the CSU’s role is to defend student rights, improve student life, and to foster discussion on current issues. Will the BDS Ballots Ever Be Counted?